Meditelle's anti-microbial vinyl coverings are suitable for use across a broad spectrum of healthcare applications. Colour note:- All our vinyl has a grained, textured finish. Reproduction of colours on different computer screens may not allow for an exact colour match. 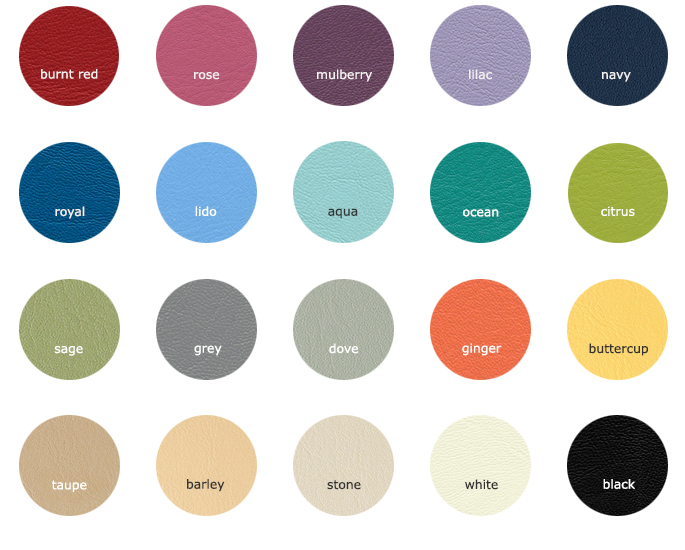 Vinyl swatches are available upon request. Meditelle anti-microbial and hydrophobic vinyl coverings are especially chosen for their suitability for use in high risk infection control areas. All Meditelle vinyl's are suitable for use in high risk Infection Control areas and contain an antimicrobial additive to provide long-lasting effectiveness even after regular cleaning which is proven to be effective against the spread of MRSA, E coli and other bacteria on its surface. Colour tested for: Colour fastness to light to BS EN ISO 105-B02: 2014; Resistance to staining GSR: 4-5 Pass. Strength tested according to BS EN 14465: 2003 / BS 2543: 2004 and meets requirements of Tensile strength BS EN ISO 13934-1: 2013; Tear strength BS EN ISO 13937-3: 2000; Bursting strength BS EN ISO 13938-2: 1999; Adhesion of finish BS EN ISO 2411:2000; Abrasion BS EN ISO 12947-2: 1998. Antimicrobial and Antibacterial resistance tested for E. Coli, MRSA and Staphylococcus to ISO 22196:2011 standards. Tested and passes the requirements according to Assessment of the ignitability of upholstered furniture BS EN 1021-1 : 2006, Part 1 Smouldering Cigarette & BS EN 1021-2 : 2006, Part 2 Match Flame Equivalent.